Today, the church is “reaping the fruit” of nearly 40 years of Spiritual Formation influence (since Richard Foster’s Celebration of Discipline was released in 1978). Lighthouse Trails has warned its readers on a number of occasions about the direction AWANA children’s club is going with regard to contemplative spirituality (i.e., Spiritual Formation) (see links below). In the following letter to the editor, you can see that AWANA is now teaching children to “listen to God” (the goal in contemplative prayer). We thought AWANA clubs was to teach children the Word of God through memorization. Since when did they take it upon themselves to teach children to listen to God voice? 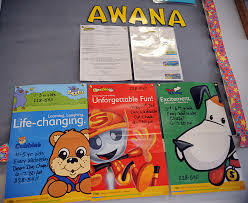 If you have children or grandchildren who participate in AWANA, we strongly urge you to examine all AWANA literature and teaching tools carefully as well as discuss your concerns with your children’s AWANA leaders and make sure they understand the dangers of contemplative spirituality. Jesus said, “Sanctify them through thy truth: thy word is truth” (John 17:17).